Names and Meanings: Beginning with "K"
Arms equate to sun rays; the "Hill of Earth" is centered between the rays. See Picture and Facsimile 1-3. Medieval view that it is an esoteric and mystical tradition of Judaism. Old Testament reference to a "brilliant robe of light" that surrounds God. Similar light in the First Vision of Joseph Smith in 1820 AD. Main Israelite camp (aka Enmishpat) in the Wilderness of Zin. See location on map. 2. Nibley See Facsimile 1-3. Nibley said this means: "Exalted one who opens at the call." Smith said it was one of the 15 governing stars. Principle of energy and control; priesthood power in action (aka nature). Seat at top of Ark of the Covenant. See Picture. Ancient capital of an independent region, but subsequently conquered by Egyptian and Hittite forces. Father of Emtelai and maternal grandfather of Abraham. Nebo was the Chaldean god of wisdom. Reference to Hopi Indian Katsinam. A headdress was aka Tablita (Spanish for a Little Tablet). 2. Hurst Midianite tribe descended from Keturah, wife of Abraham. Wife of Abraham and mother of six sons: Zimran; Jokshan; Medan; Midian; Ishbak; Shuah. Egyptian god; also symbolized by a lotus flower or a scarab beetle. Note that the lotus was depicted with red (life and the east) and white (death and the west). See Facsimile 1-3. Egyptian fortress (aka Etham) near modern Ismailia. Nibley claimed it symbolized a relation of light/power transferred between the 15 governing stars depicted in facsimile 2 item #4. Place in the Dhofar (Zufar) region of modern Oman where Lehi's family built a ship at Bountiful. Part of modern Wadi Sayq. 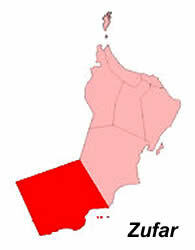 Place in the Dhofar (Zufar) region of modern Oman near where Lehi's family built a ship at Bountiful (modern Khor Kharfot). Jaredite king and son of Orihah. Father of Corihor (who seized the kingdom from his father) and Shule. Place in the Wilderness of Paran. Probably the same as Taberah. aka Valley of Shaveh located near Jerusalem. See Picture. 2. Hurst Jaredite king and son of Morianton. Uncle of Levi. Ancient name was Baalah, a Canaanite city. Ark of the Covenant was kept here 10 years. 2. Hurst Jaredite king and son of Corom. Father of Lib. 2. Hurst Father of Saul. City of Nephite dissenters. It was destroyed with fire when Jesus Christ was crucified. 2. Nazarenes Joseph Smith stated its measurement was 24 cubits (72 days). Nazarenes of Mount Carmel claim this represents the "Right of Authority from eight days old" according to the priesthood. Second son of Levi and father of Uzziel. 2. Nazarenes Actually, the Hebrew word for Mercury is Hama. Star nearest the residence (planet) of God. See Picture and Facsimile 1-3. John Tvedtnes contends it may refer to Sirius, the Dog Star. See Picture and Facsimile 1-3. Modern Sudan. Anti-Christ who preached falsehoods until Alma cursed him. Zoramites eventually killed Korihor. Ancient land identified as modern Sudan, south of ancient Egypt.